On this week's episode, Sean, Courtney, and Josh discuss PlayStation 5, Disney +, Rise of Skywalker, and more! This Week in 8BA: Berkshire Bites, Worldbuilding Jemmora stream, 8BA Comics, and introducing the 8BA Loyalty program! On this week's episode, Sean, Courtney, and Josh discuss a few RPG Kickstarters, trailers for movies arriving this fall, and more! On this week's episode, Sean, Courtney, and Josh discuss the WSJ article stating two Switches are coming, new WoW transmog options, and more! On this week's episode, Sean, Courtney, and Josh discuss this week's Nindies Showcase, Google Stadia, movie trailers, and more! Jump ahead to roughly 12 minutes to skip Sean accidentally muting himself. On this week's episode, Sean and Josh discuss Captain Marvel's success, Devil May Cry 5, WoW Classic, and more! On this week's episode, Sean, Courtney, and Josh discuss the Critical Role Kickstarter campaign, the revised Artificer D&D class, Nintendo Switch turning 2, and more! This Week in 8BA: Berkshire Bites, a new food podcast! On this week's episode, Sean, Courtney, and Josh discuss Reggie Fils-Aime's retirement, Pokemon Sword & Shield, the Academy Awards, and more! On this week's episode, Sean, Courtney, and Josh discuss Mario Maker 2, Marvel's Netflix cancellations, and more! On this week's episode, Sean, Courtney, and Josh discuss Disney live action remakes, this week's Nintendo Direct, the Activision Blizzard layoffs, and more! On this week's episode, Sean, Courtney, and Josh discuss Resident Evil 2 Remastered, Metroid Prime 4, Monster Hunter World, and more! 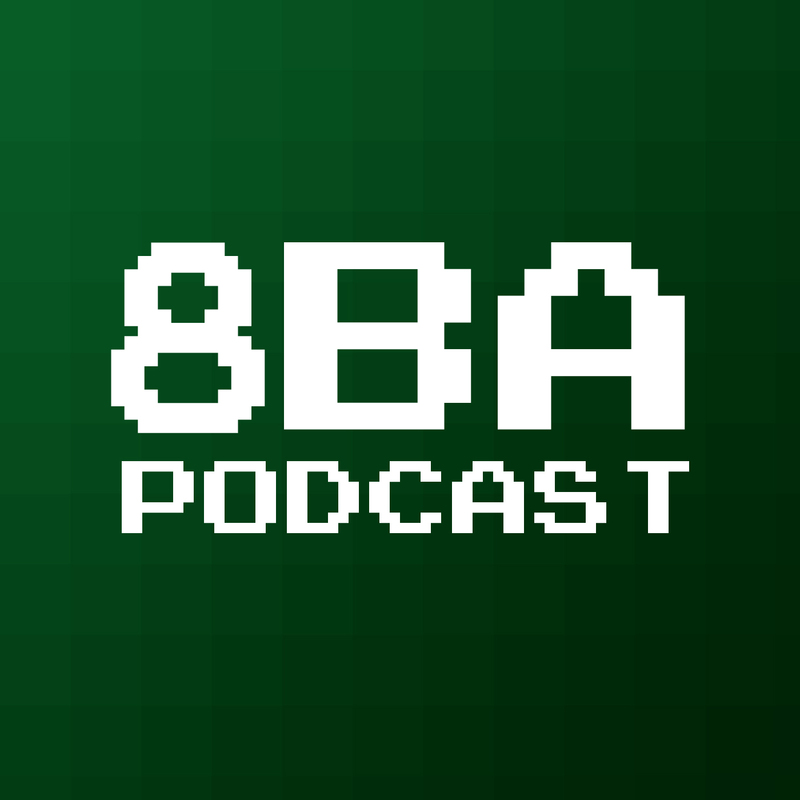 This Week in 8BA: Patron Comic and New Podcast!